Construction software company Procore, based in Carpinteria, has opened a new office in Sydney, Australia. The addition of the new location is a response to high demand in Australia and New Zealand, the company said in a news release April 20. Its customers have reached more than 100 in the region, with more than 50,000 users. Procore achieved unicorn status early this year after Iconiq Capital led a $50 million investment round, propelling the company over $1 billion. 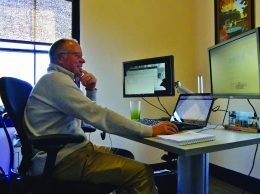 With 425 employees in the Tri-Counties in 2016, Procore is the fifth largest software firm in the region, and expects to hire sales, marketing and product support staff at its new office.